A reminder advising passengers flying Saudia Airlines to cover up while flying has become the talk of Twitter. Netizens were quick to pick up on a strict dress code advisory issued on Saudi Arabia's national carrier website, warning that passengers who violate their rules of conduct could be barred from flying. Fliers are asked to refrain from wearing anything that could cause discomfort or offense to other passengers. For women, that means exposing their legs or arms and wearing thin or tight clothing. Men are barred from wearing shorts exposing their legs. Saudi Arabia imposes a strictly-enforced dress code throughout the country: Women are expected to wear conservative, loose-fitting clothes as well as a full-length cloak called the abaya and cover their heads with a headscarf. Men are likewise forbidden from wearing shorts. 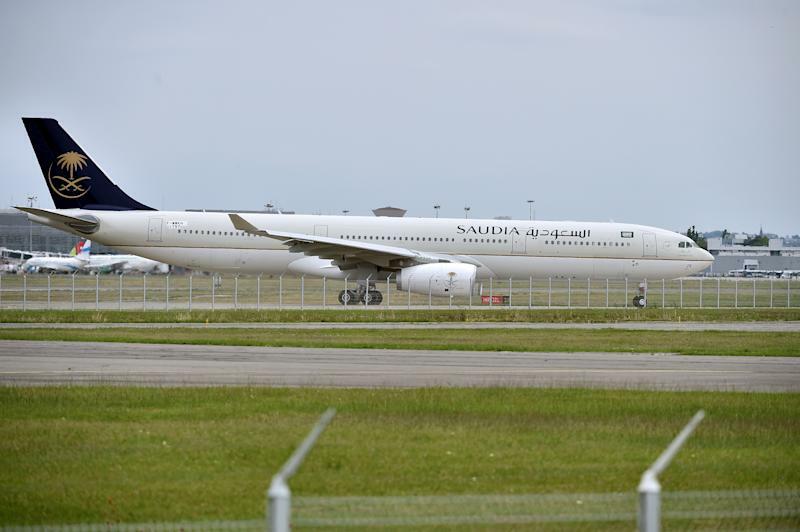 But given the international nature of travel, some took to Twitter to denounce the move, turning #SaudiaAirlines into a trending hashtag. "Passengers to be subjected to Islamic air control? We want to travel, not be subjugated by religion," pointed out one Twitter user. Others called the dress code regressive, and a policy from the Middle Ages. "Fly the Unfriendly Skies with #SaudiaAirlines: airline imposing regressive Muslim dress code on ALL passengers." Meanwhile, earlier this month, the kingdom announced plans to build a semi-autonomous luxury resort along its coastline for Western travelers, where the normally ultra-conservative laws on female segregation and dress could be waived. The move is aimed at diversifying the kingdom's oil-dependent economy. Last month, a Saudi model also made international headlines when a video capturing her flouting the kingdom's dress code went viral and led to her arrest. In the footage, the woman is seen walking around a historic site in a miniskirt and crop top. Other countries with strict dress codes for women include North Korea, Sudan and Uganda.